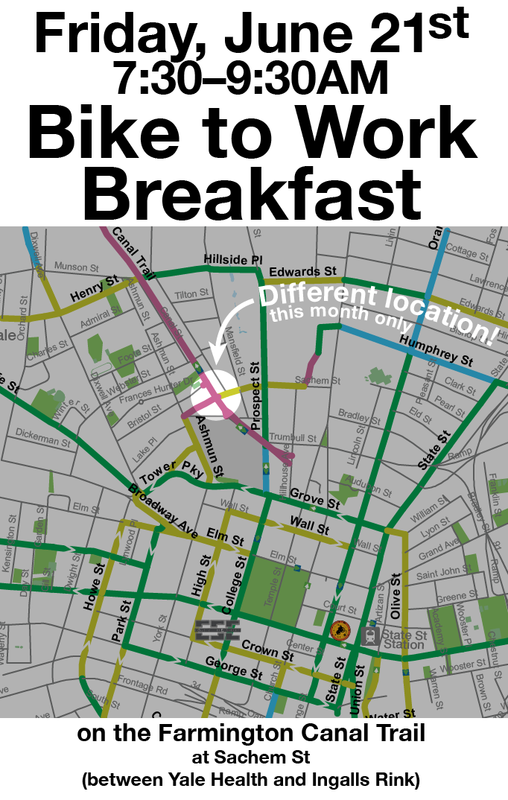 August Bike to Work Breakfast has arrived. Friday, Aug 16 7:30–9:30AM @ Pitkin Plaza. This month sponsored by Yale New Haven Hospital. National Bike to Work Day is Friday, May 17th! Bike to Work Day is Friday, May 17th. 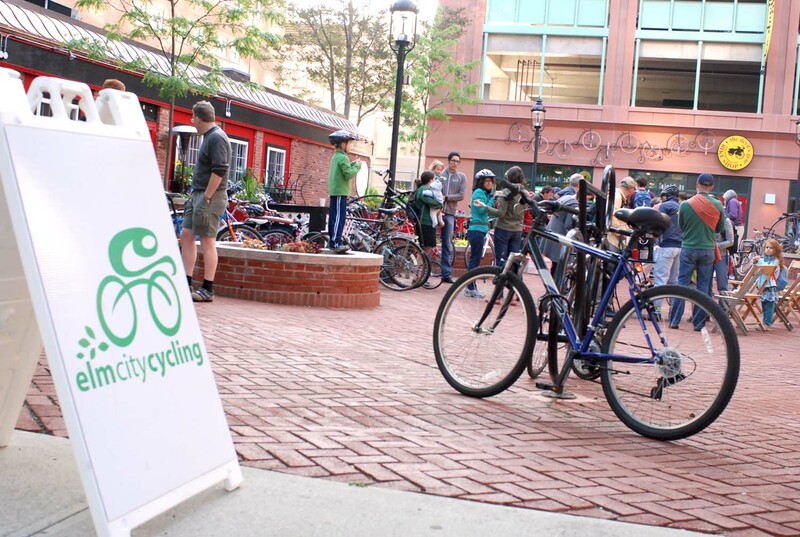 Stop by Pitkin Plaza, in front of the Devil’s Gear, 151 Orange Street, between 7:30-9:30 a.m. for a free breakfast, the release of Elm City Cycling’s 2013 Bike Plan, a chance to check out the bike rack on a city bus, and more! For all cyclists (even if you’re not biking to work) and commuting pedestrians. Sponsored by the Devil’s Gear. We had 125 folks at last May’s BTW breakfast and still got beat out by Hartford. Let’s stir up a little New Haven-Hartford competition and win this year! See you there!